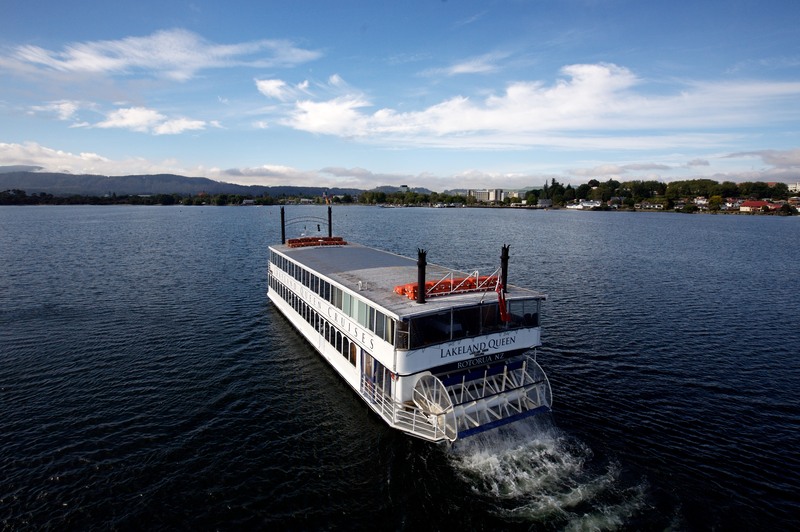 Lakeland Queen is a dining cruise and charter company who can provide you with a unique, memorable experience on the beautiful and historical Lake Rotorua. 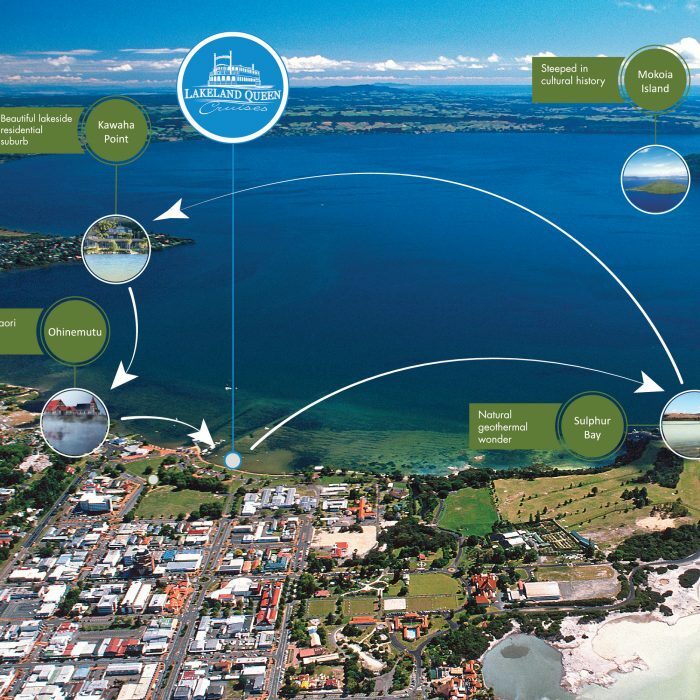 Our heritage styled vessel is the only one of its kind in New Zealand and the gentle pace of its paddle provides a relaxing cruise, perfect for exploring the areas geothermal features, natural wonders and stunning views. 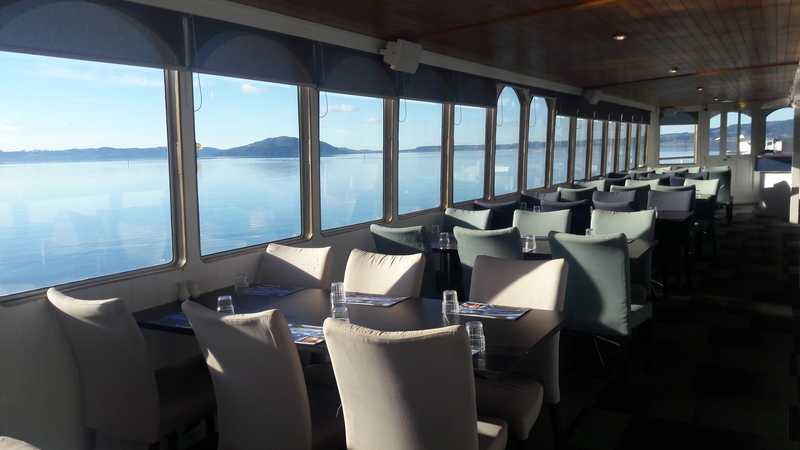 Our daily cruise schedule offers something for everyone, from full meal options including breakfast, lunch or dinner to simply enjoying a coffee or wine cruise, all perfectly timed at one hour duration. If you looking for more of a personalised experience, you can charter the vessel for your own individual needs and exclusive use. 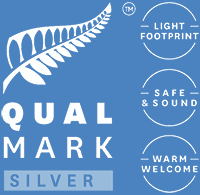 Whether it’s a unique lunch time experience, you are interested in exploring the lakes beautiful scenery or an exclusive special occasion we can take you there. 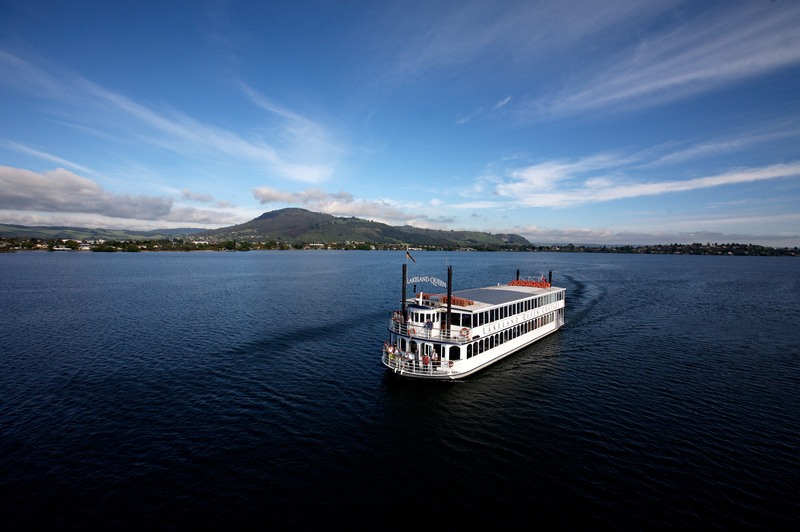 Join us on the Lakeland Queen for a relaxing scenic cruise that is uniquely Rotorua. Departing daily our full meal and cruise options include Breakfast, Lunch and Dinner. Coffee and Wine Cruise options are also available. 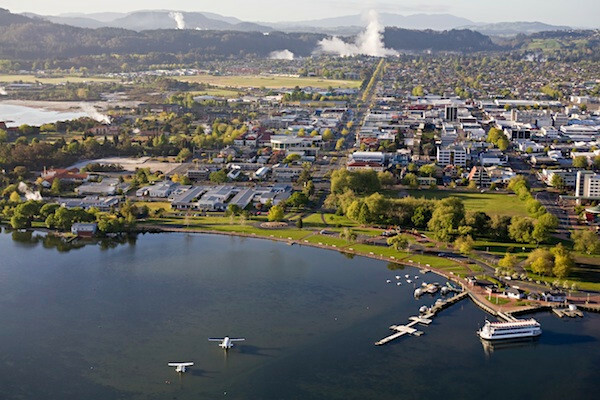 Lake Rotorua is a beautiful lake with its own unique geothermal features and stunning scenery making it a favourite spot for locals and visitors to the region. 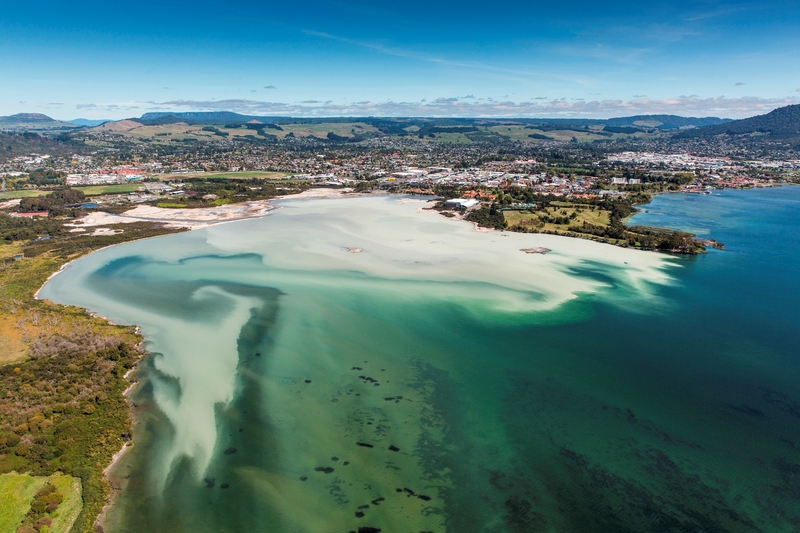 The best way to see Rotorua! 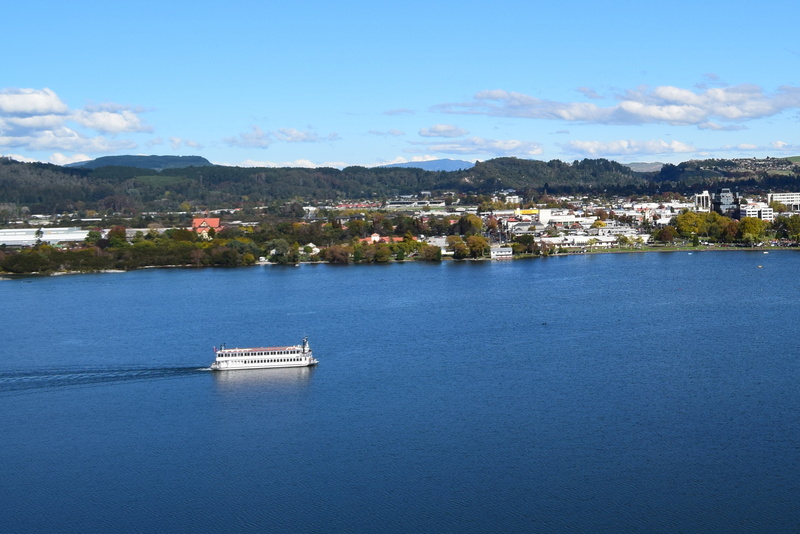 Our relaxing cruise explores fantastic scenery and totally unique landscapes of Lake Rotorua, while you listen to informative commentary on the sights. 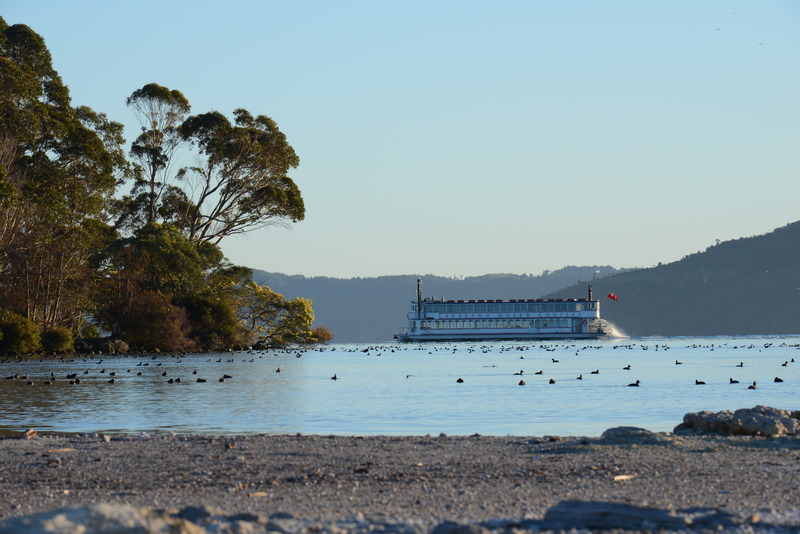 It was this lake that Hinemoa swam from the mainland to Mokoia Island to be with her lover, Tutanekai, thus inspiring the greatest of all New Zealand songs, ‘Pokarekare Ana’. 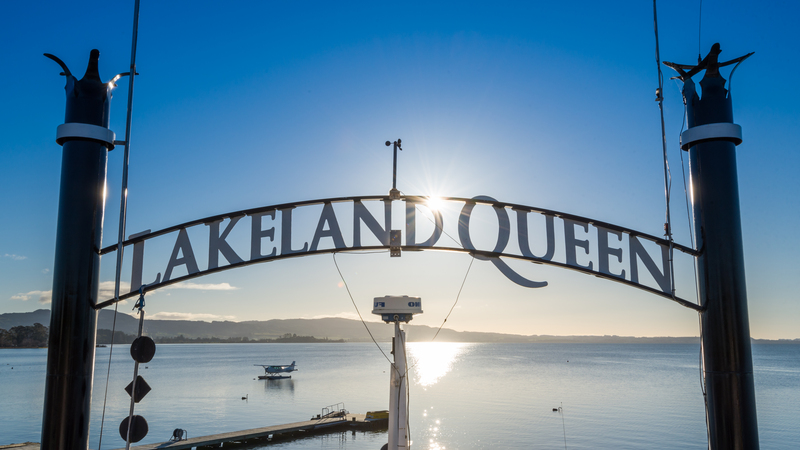 The Lakeland Queen will take you by this very special island, so make sure your bring your camera and capture the beautiful geothermal and lake views, the bird sanctuary in Sulphur Bay, Ohinemutu the living Maori village visible from the shores of Lake Rotorua and perspective views of the city. 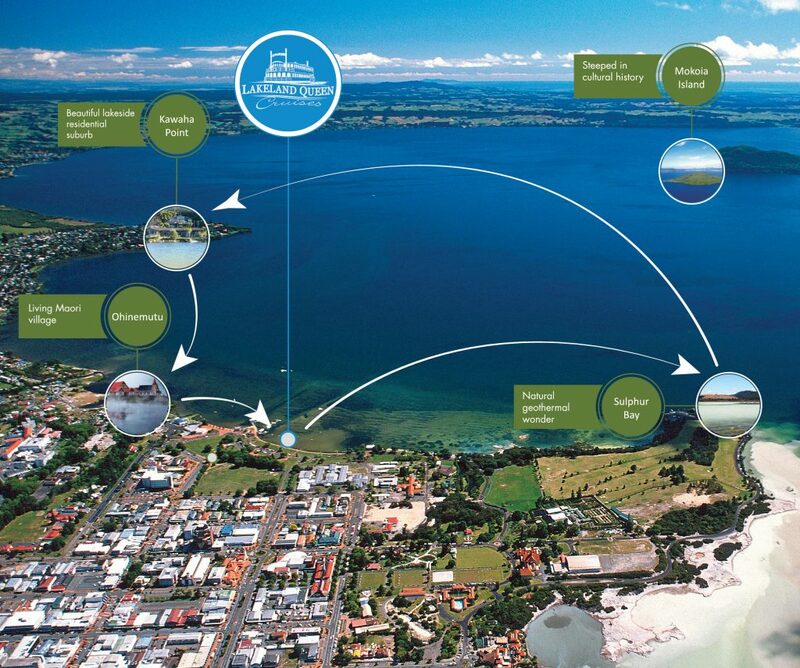 Take the opportunity to enjoy this totally different and relaxing perspective of the city and lake views.